groep in hun meest succesvolle tijdperk. nummers toe, dat voor het eerst het licht ziet op cd. (beide geproduceerd door Gus Dudgeon voor het Elton Johns Rocket label), bevat Mythology voor het eerst op cd de opnieuw opgenomen singleversies van Divergence en Chappaqua. Met als extra bonus een aantal in 1971 door de VPRO radio en televisie vastgelegde livestukken. De opnames zijn subliem geremasterd van de originele mastertapes. Daarnaast bevat deze Mythology een informatief boekje met het uitgebreide verhaal over Solution in de jaren zeventig en zeldzame memorabilia. 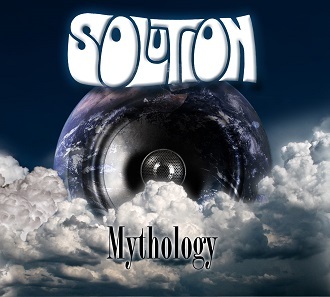 During its 13 year existence, Dutch band Solution has been constantly exploring various musical fields. Debuting as a freeform progressive combo with jazz influences, their music evolved into typical seventies freshly produced music - both vocal and instrumental. This 3CD-set is not just a bunch of Solution songs, it contains the complete studio recordings from a long remembered and much cherished Dutch group in their most successful era. Furthermore, this release adds several unique versions of songs to the four previously released studio-albums. Besides the first two EMI released albums and the Gus Dudgeon-produced Cordon Bleu and Fully Interlocking (released on Elton John’s Rocket label), Mythology includes previously unavailable CD-versions of the re-recorded 7”-only versions of Divergence and Chappaqua. As a bonus, several live-tracks - recorded in 1971 for VPRO radio and television - provide a look through the camera-eye, documenting the band on stage in their formative early years. The recordings have been exclusively remastered from the original mastertapes. In addition, this Mythology contains an informative booklet with the complete Solution 70s story and rare memorabilia.